Check out my Food and drink posts! Out with the old in with the new! New Sainsburys' Cola Review. Its Friday again and it only spells one thing-weekend! How refreshing that sounds. I am looking forward to having a baking session with my 4 year old, it will be messy of course but messy is nothing compared to quality bonding time. 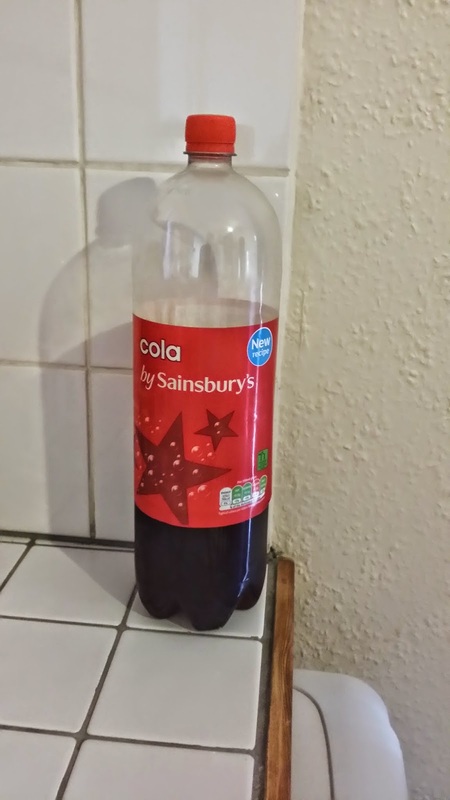 I have got some many exciting reviews lined up for the next few weeks but I thought to pop in quickly to do a quick review on the New Sainsburys's Cola. Now I have a little secret to share with you. I absolutely love the Sainsburys's cola. Being a mum, I am all for good bargains but of course not at the expense of quality. So if I find a good bargain product which of course is of fantastic quality,your guess is as good as mine, I will be sticking to it for as long as I can. The first time I had the Sainsburys' cola (old recipe that is), I thought it tasted fantastic, I mean if you are not someone who is big on fizzy drinks you will hardly be able to tell the difference between Sainsburys' Cola and the top selling cola brand! For me, it was a winner and I was instantly bought over. I would happily stroll down the drinks aisle to stock up on my Sainsburys' cola until yesterday when I noticed the inscription on the bottle ''New recipe'', I could hardly wait to get home to try this new formula after letting it chill out in the fridge for a while. Here's what I think of the New Sainsburys' Cola. I find the new recipe leaves a slightly bitter-sweet after taste in my mouth, reminiscent of herbs,maybe. For me, the new Cola lacks in quality of taste compared to the old recipe and it kind of reminds me of other store brand colas. That being said, what the new recipe lacks in quality of taste it makes up with in its level of sugar as it does seem to me that the new recipe definitely does not taste as sweet as the old version which I think its great. Less sugar = ''Living well for less'' ( Thank you Sainsburys' for always having the interest of the consumer at heart). I am not too excited by the new recipe, its all a matter of choice though as some others might find it just right especially with its ''not too sugary'' taste. However, if I had to choose between the old and new,I definitely would not be spoilt for choice. Dear Sainsburys' how about keeping the old recipe sainsburys' cola for a little longer?